Gadget freak or not, if you don’t possess an iPad these days then sorry, you are not in vogue! People walk, talk and sleep with their iPads today and why not- the range of applications available on it caters to all our needs. From music to games to business apps to apps which will increase your knowledge, iPad offers you all.Let us now see 10 best iPad apps of all times. With your iPad, revamp your Facebook experience! With its latest 4.11 version, the photos and icons just stare at you! Flaunt the clarity of your albums to your friends. Some amazing features of Facebook has been recently installed for your comfortable use. Don’t like to talk to unwanted friends? Stay offline without coming out of the app. You can mend your Notifications too. Connectivity using Facebook is just a tap away! With Dropbox, you become a more organized person! The Dropbox app helps you structure and manage your files under one banner to be taken anywhere along with you. You can easily upload photos or documents and share them among friends and families online. For offline viewing, you can add the files to your Favorites. It offers a great sync and online backup. Officetime is one of the best iPad apps. OfficeTime apps records billiable hours of your work specifying every minute and second with the relative amount of money. 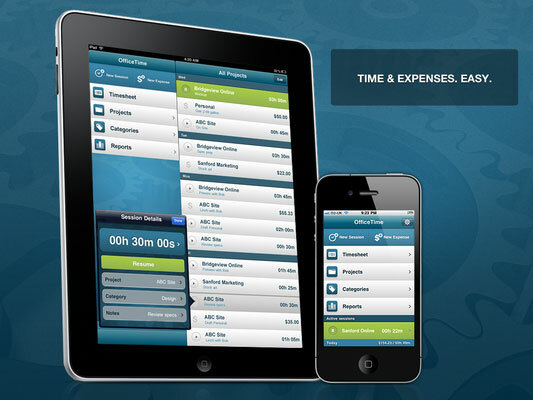 This app is very easy to use and is equipped with the ability to sync with OfficeTime software on the desktop even! This feature is a one-time buy so after the initial cost, you can reap the harvest forever. Never miss a thing because LiveChat is here! Chat non-stop 24×7 (if you have that ability) with your customers and colleagues to be updated or give information. The unique feature of LiveChat is that it can work in the background. If you close your app, you will be notified later about your pending updates and chats. The office schedule doesn’t let you sit in front of the match? Don’t worry, get the match results in your office itself! With last updates, pictures, videos and all available information, this is the ultimate game companion app for iPad users. This exclusive feature helps you to easily discover new things over the Web. All you have to do is just click on “Stumble!” and browse through various photos, videos, documents, information recommended by those who share likely interests with you. Don’t just satisfy yourself with the information, share it among your friends too via Internet. What can you not do with Photoshop? Fix your body with head with Leonardo DiCaprio’s body, or fix your friend’s head with the body of a lion (for fun only)! You can change the backdrop, add colors, go black and white and all what you want! And all that can be done on your iPad with Adobe Photoshop Touch. The app is easy to use with a range of familiar tools. 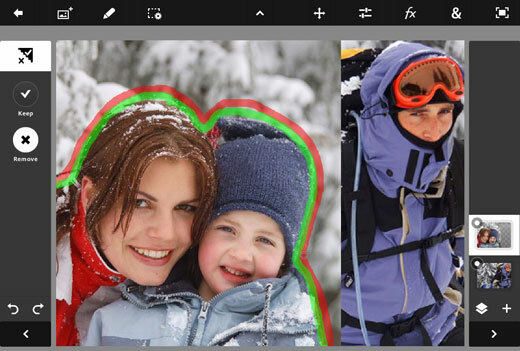 You can also imagine-edit your photos with various available backgrounds and layers. Are you a budding artist? Leave those pens and papers, try our Omnisketch on iPad. This procedural drawing tool, helps you unwind your creativity with imagination and colors. This unique easy-to-use app is clean and uses mathematical algorithms to make patterns. You can use the mirrored drawing mode to mirror you drawings across the iPad screen- and trust me, it is such a visual treat! Now, get the knowledge of the world in just no time! One of the successful informative app of iPad is the Britannica Concise Encyclopedia. With over 25,000 encyclopedia entries, user-friendly approach and facility to work offline, this app is very useful to the users. Hungry about the world No 1s? Get the unique and exclusive records with Guinness World Records: At your Fingertips app on your iPad just with a click. With appealing visuals this app is just fabulous for iPad users. You can know about hidden facts too with “hot-spot images”. Now, tell me, if you have all these apps in one device, why will you hunt for any other thing? Although, I’m not an iPad user but have used many of these applications such as Facebook, Dropbox, Stumbleupon etc. on my Galaxy Note and S3. However, I’m now thinking to buy an iDevice, so I will surely try out these apps in near future.